Brian Honigman is a marketing consultant, a freelance writer and a social media enthusiast. This post was originally published on Jumplead. What does a worthwhile and memorable experience look like between a business and a customer? This type of experience is one where the business caters to the needs of the existing and potential customer before, during and after they’ve made a purchase. Questions, comments and concerns of the customer are listened to by the business, giving the customer an open dialogue to quickly deal with any issues or concerns they’re having with your products or services. An example of stellar customer service that has left many customers elated about their experience is what Warby Parker is doing to impress customers with its eagerness to help. The company created a YouTube channel where the team shares videos answering customer questions from Facebook and Twitter, which helps put faces to the brand and excites customers with a shout out or an insightful answer to their question. This is the type of experience that you should create for your customers, but it is more easily said then done, right? How can my company create an engaging experience for my existing and potential customers? 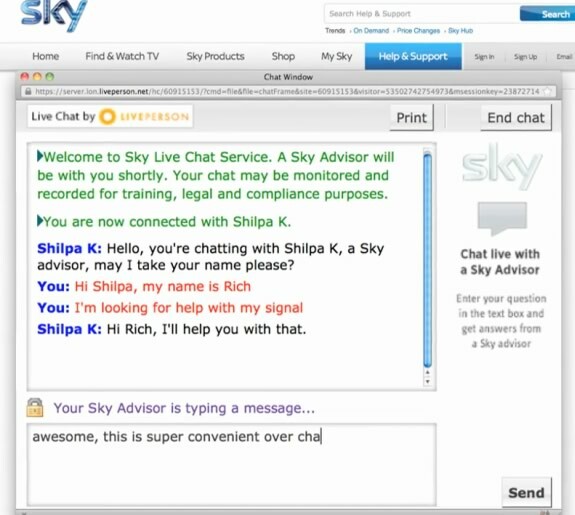 Start by using a live chat service on your website to build rapport with your visitors overtime. Live chat functionality is still a relatively new tool, but don’t let that imply there aren’t widespread benefits for your company. Adding live chat functionality to your website allows customers to chat with a business in real-time to ask questions, get advice and build confidence during their shopping experience, while improving conversion rates for your business. Live chat services like LivePerson, BoldChat, Comm100, Kayako, LiveHelpNow, Jumplead and others help add a human factor to your website, allowing your business to tell its story and solve customer issues all at once. The main reason above all, is that live chat offers convenience for customers right from your website without them having to leave looking for assistance on the phone, email or social media. Added convenience is what helps build strong relationships with your customers since the availability of help and the speed at which this help is delivered is often the two most cited reasons people say they had an enjoyable experience with a company. By communicating with customers right from the product page on your website, your business is more likely to address their concerns and therefore, impact their confidence shopping on your website since they know someone is always there to help. Live chat is critical for answering customers issues, but is also effective for businesses looking to provide advice to customers as they shop to better inform them of their options and which options match their needs and interests. For instance, many e-commerce stores that sell apparel use a live chat function to provide style advice to customers that don’t necessarily have a question or an issue, but would love direction on what to buy that would suit their personal style. Live chat is cost efficient because it often increases the average order value of customer purchases since many of these customers are getting helpful advice and insights on what to shop for matched with their interests, as well as answers to any product questions they might have. This increased confidence helps customers feel better about what they are purchasing, since the product or service is more likely to be what they were looking for and less likely something they’ll have to return later because it doesn’t fit, it’s wasn’t what they expected or whatever other reason why many products or services online don’t turn out to be what a customer had anticipated. Implementing a live chat service on your website isn’t an expensive endeavor, especially since it typically pays for itself quite quickly with increased conversions and AOV’s once customers know it’s an option. Comm100, Kayako and LiveHelpNow are some of the most affordable services for small to medium sized businesses since they offer different packages that are priced competitively to meet the needs of your staff and the amount of customer communication you’re dealing with on a daily basis. The amount of competitors present in any vertical today can be overwhelming, which is why it is as important as ever to stand out and differentiate your company from others. A live chat program will help your business focus on the needs of your customers and the experience they are having with your business at almost every major touch point in the buying funnel on your website. Live chat is one method of enchanting a customer by delivering as much value to their experience with your business and its offerings. According to a study by Marketing Power, customers who use your live chat platform are three times more likely to buy since the method provides a direct and personal interaction with customers. The effectiveness of live chat as a platform is incentive enough to begin winning over the customers of your competitors by consistently improving upon their experience with your business. 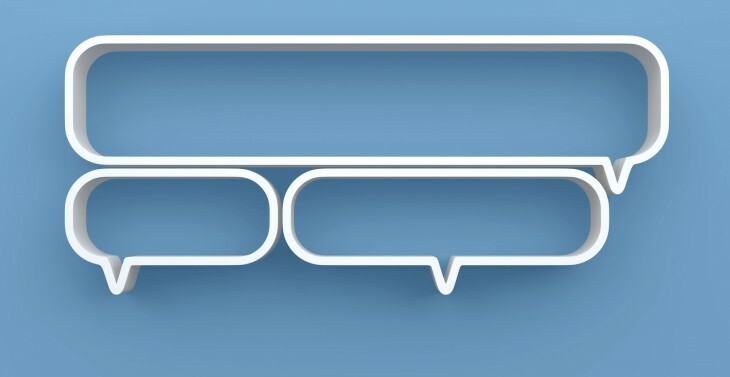 In 2011, 58 percent of U.S. consumers say they’ve interacted with an e-retailer using live chat, up from 54 percent last year. Although its use is rising, this means that there are a vast amount of businesses today not yet using a live chat program and therefore, an opportunity for your business to continue to dominate your vertical. Customer retention is critical to the long-term growth of your business. Returning customers often spend more, refer friends and family members in their network and remain a paying customer for decades depending on your industry and the competitive landscape in that market. Using a live chat program can help foster these long-term relationships because it shows your company truly cares about your customer’s input and happiness. If your business doesn’t put the customer in charge, then you’re not likely to succeed in the future. The digital landscape today allows customers to be more influential then ever, which is why it is important to involve them in the process with tools like live chat to hear their input in real-time and cater to their needs. When customers feel their voice is heard and they chat with a person behind the company, it’s more likely that they’ll have a stronger connection to your business. Analyzing the data your company gathers across the website and other digital channels is crucial for understanding what is and isn’t working for your business. Installing and using a live chat program can provide your team with an unlimited number of chat transcripts to help identify trends in customer pain points, the speed at which care is delivered on a monthly basis, where your staff excels and where they might need more training and what opinions customers have about your business. Monitoring data points like the speed at which problems are resolved and service is administered using live chat can help your company understand the benefits of the tool and how your company can continue to innovate on its use over time. By analyzing what questions, concerns or issues readily come up for your customers, your team can construct prewritten responses to frequently asked questions and direct customers to pages on the website that contain the requested information. This saves time for your customer support team, making your company more agile in delivering care to customers and providing the insights they were looking for more quickly. Since the experience with your business is made more enjoyable by the use of live chat, this often results in more conversions and a higher average order value from customers that are engaging with you on the platform. Of those who prefer live chat, 79 percent said they did so because they get their questions answered quickly and 46 percent agreed it was the most efficient communication method, according to Econsultancy. The speed and effectiveness of this form of customer support is what it takes to succeed and impact your business’s bottom line. Since questions are answered more quickly and the answers provide customers with more confidence, they tend to spend more than customers who don’t use your live chat. 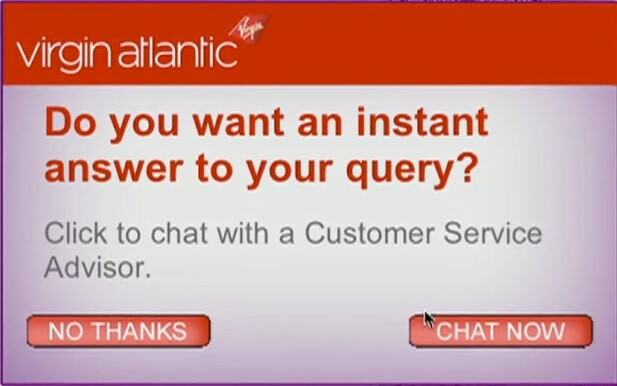 Virgin Airlines uses a live chat platform on its website to upsell customers with other offerings, which converts customers on chat 3.5 times more than customers that don’t engage in a chat. 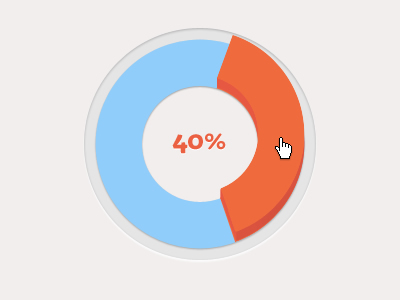 They also found that some of their customers had a higher AOV of 15 percent, as compared to those who did not. Is your business considering the use of live chat? What’s stopping your company from implementing such a useful feature to boost the effectiveness of your customer service? Please share your thoughts in the comments below.